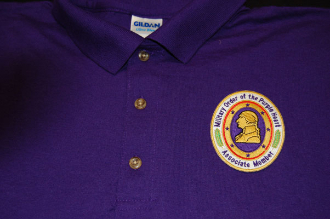 Official Associate Members Logo Polo Shirts. We have created a very highly detailed embroidered patch. AVAILABLE IN PURPLE, BLACK, RED, WHITE and GREEN.